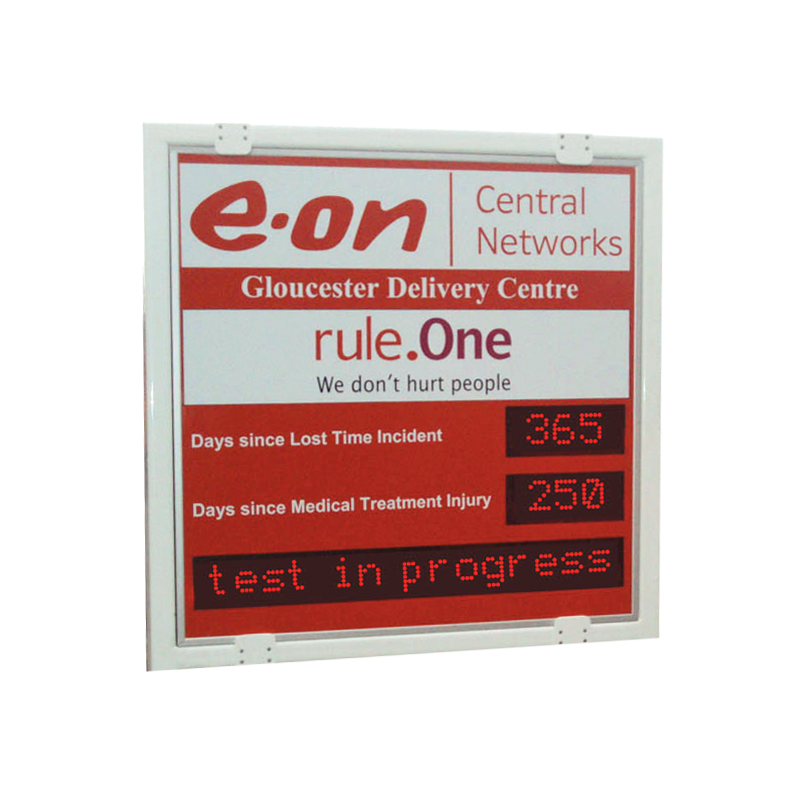 Industrial LED Production display boards provide high visibility feedback on performance statistics, to keep staff informed and motivated. As well as standard sizes, bespoke designs are easily created to meet your site-specific requirements. 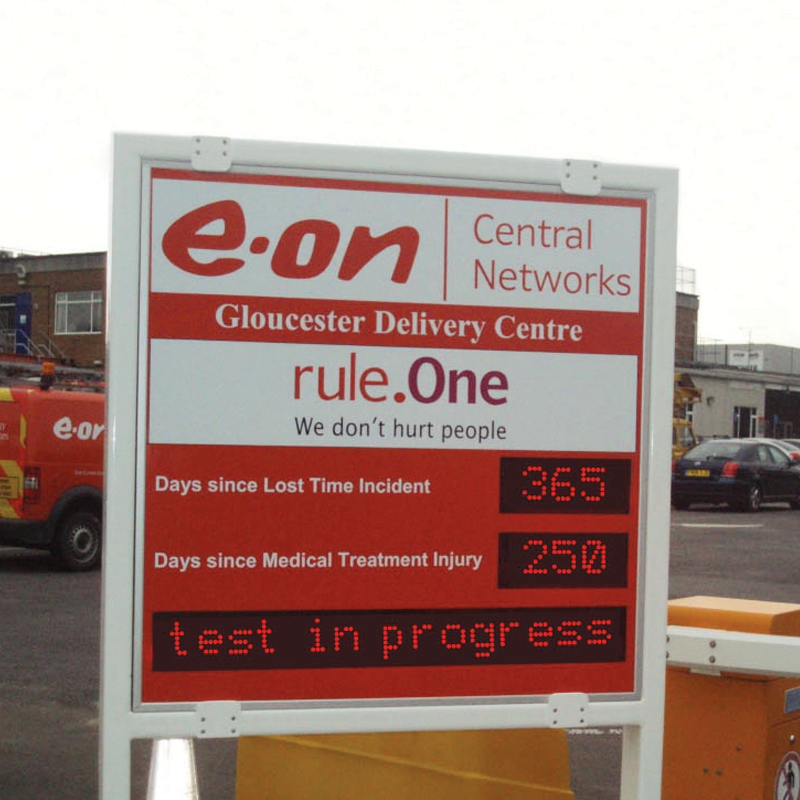 LED displays can be configured to show simple statistics (e.g. percentage of waste recycled, performance against target etc) along with date/time, as well as displaying a fixed or flashing text message to provide general information or specific reminders. 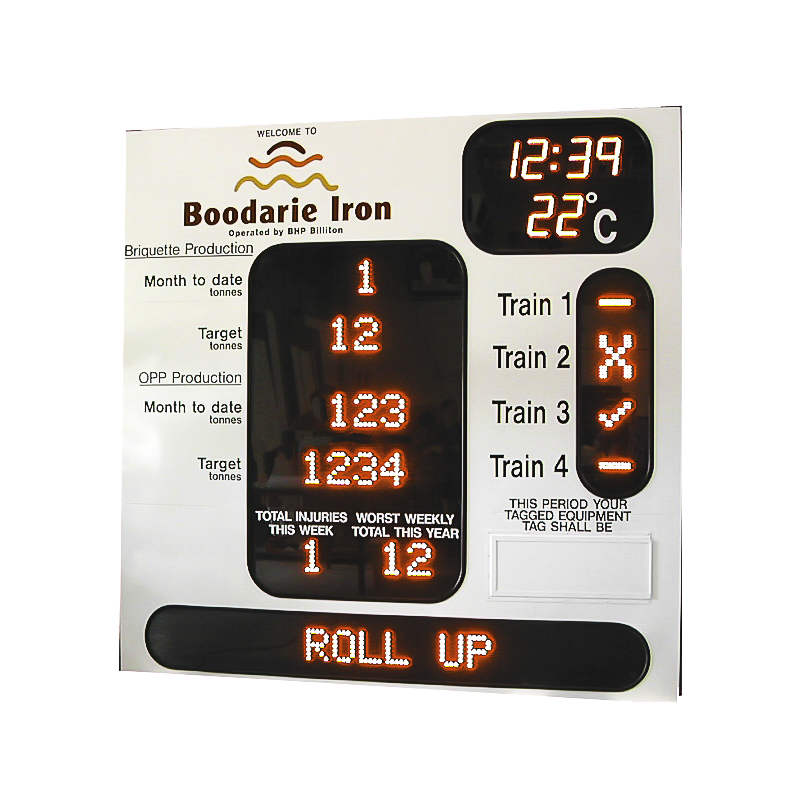 For production line applications, including Andon and TAKT displays and signs, additional options include stop/start features and counters.